After her husband leaves her for another woman, twentysomething Londoner Alison Temple impulsively applies for a job at the very P.I. firm she hired to trap her philandering ex. She hopes it will be the change of scene she so desperately needs to move on with her shattered life. At the all-female Fitzgerald’s Bureau of Investigation, she spends her days tracking lost objects and her nights shadowing unfaithful husbands. But no matter what the case, none of her clients can compare to the fascinating characters in her personal life. There’s her boss, the estimable Mrs. Fitzgerald; Taron, Alison’s eccentric best friend, who claims her mother is a witch; Jeff, her love-struck, poetry-writing neighbor; and—last but not least—her psychic postman. Her relationships with them all become entangled when she joins Taron for a road trip to the seaside and stumbles into a misadventure of epic proportions! Clever, quirky, and infused with just a hint of magic, this humorous literary novel introduces a memorable heroine struggling with the everyday complexities of modern life. One of the best qualities of this book is the raw tone the author uses to tell the story. Everything is laid bare, the characters do not hold back in the slightest. 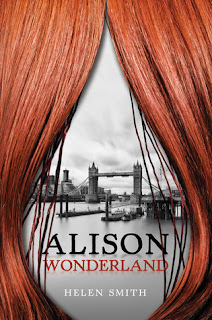 There are highs and lows in Alison's life, the reader will have the chance to get inside her head. When her husband cheats on her, she retaliates by joining the detective firm that first uncovered the husband's infidelity. The events that take place when she begins work for the detective agency are both funny, unbelievable, slightly sickening in places, and shocking. The reader will be kept entertained throughout the novel. As a whole, the novel was fun to read. The reader will not be bored, the events were fast-paced and easy to understand. The novel varies from chapter to chapter, at times the reader will get a glimpse into characters other than Alison's head. The characters were a hit or miss, but the author did not intend them to be perfect or necessarily likable. The author's style of writing was refreshing, there were no unnecessary, long explanations. This book is recommended to adult readers. Huh. Never heard of this before. It sounds pretty cool! I love the concept.